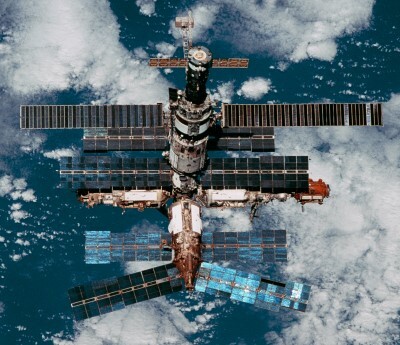 The construction of Mir station began on February 20, 1986, when the Base Block of the station was launched into orbit around the Earth by a Proton carrier rocket. Mir continued to expand over the next few years. The Quant module was launched on March 31, 1987 and docked to the Base Block on April 9. 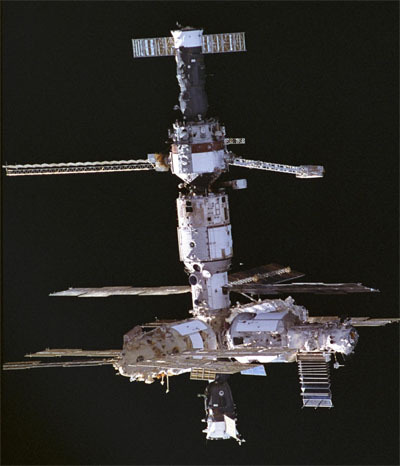 The Quant-2 module was launched on November 26, 1989, and docked to the Mir station on December 6, 1989. 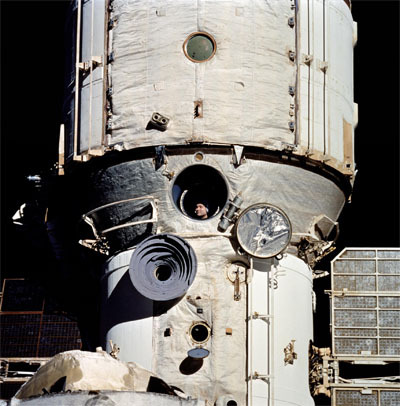 The module was equipped with a gateway that allowed crew members to go out in open space. 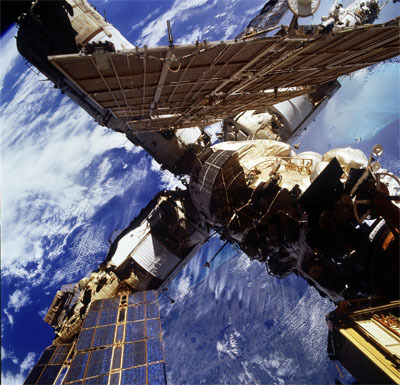 On May 31, 1990, the Crystal module was launched and docked to the station on June 6. 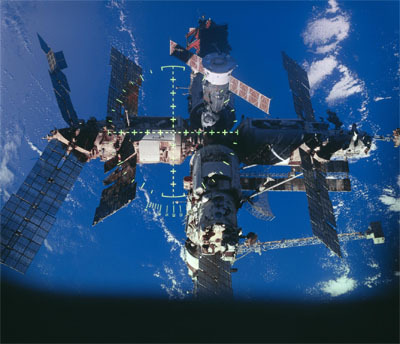 Five years later, on May 20, 1995 was launched the module of remote sensing and geophysical research Spectrum, which was docked on June 1 to the station Mir. 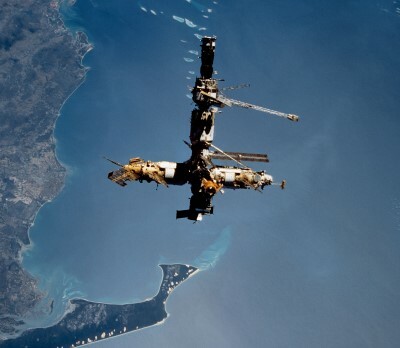 November 15, 1995 to the station Mir was added docking adapter for docking Space Shuttles. 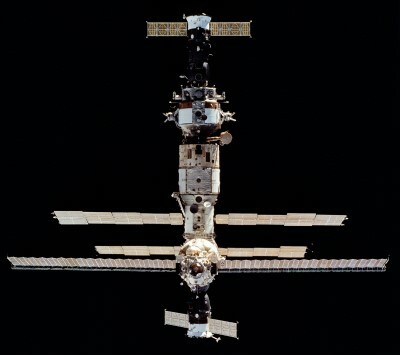 The last module Nature was launched on April 23 and docked to the station on April 26, 1996. The initial length of the World was 13.13 m, diameter - 4.35 m, net volume - 76 cubic meters, weight - 20.9 tons, the maximum crew - six people. 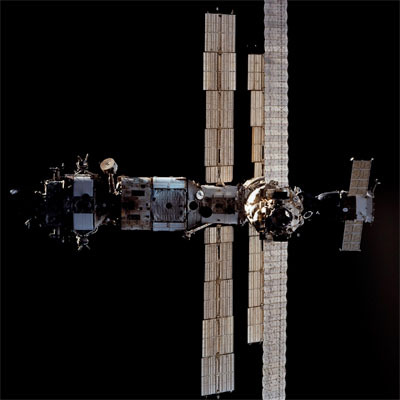 Until 1996, Mir was actively completed, having increased several times. The total weight of six additional modules amounted to almost 130 tons and a useful volume of up to 350 cubic meters. 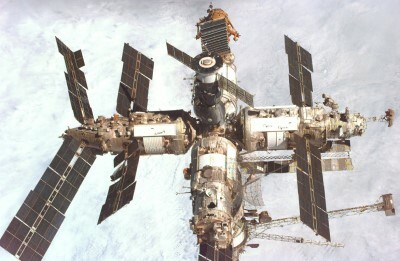 The first crew arrived at Mir station in mid-March 1986. 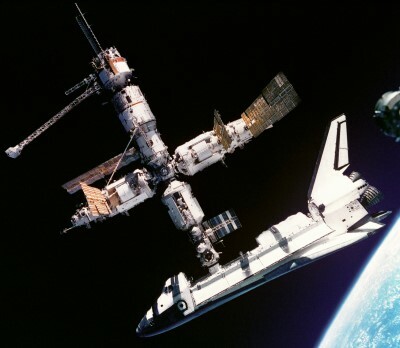 On June 29, 1995, the first American shuttle docked at Mir station. 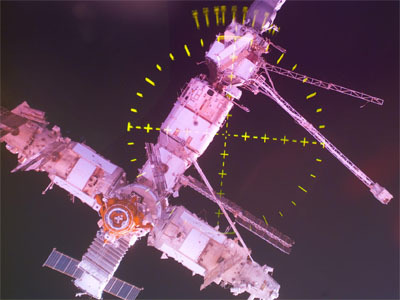 During the life of the Mir station, crew members spent more than 325 hours as part of 75 planned spacewalks for research and repair work. There were three internal spacewalks in the depressurized module Spectrum. Participants in the exits were 29 Russian cosmonauts, 3 US astronauts, 2 French astronauts and 1 astronaut of the European Space Agency, a German citizen. Cosmonaut Anatoly Soloviev made 16 spacewalks for a total time of 80 hours 4 minutes - more than any other person in the world. A serious incident happened on June 25, 1997, when the Progress transport ship collided with the station. The integrity of the Spectrum module has been compromised what made this module unusable. 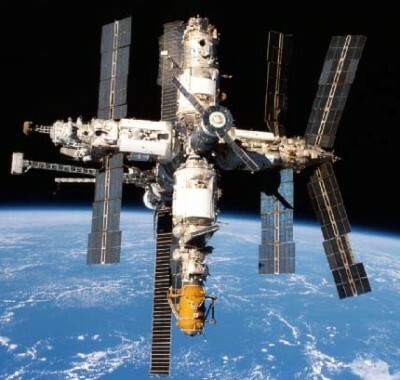 During more than 15 years of operation of the Mir station, 104 cosmonauts and astronauts from 13 different countries (France, Syria, Afghanistan, Bulgaria, Japan, Great Britain, Germany, Kazakhstan, Austria, USA, Canada, Slovakia). 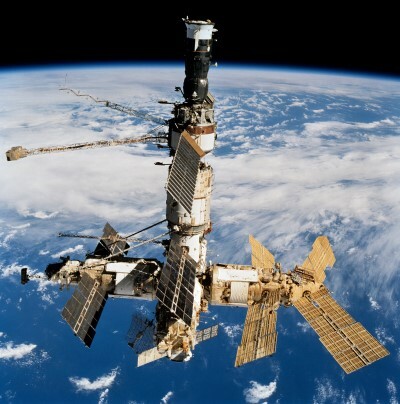 40 citizens of the USSR and Russia visited the Mir station. Most of all were not the owners of the station, but the Americans (44 astronauts). They arrived both on the Soyuz and on the shuttles. Among all - 10 women astronauts. Anatoly Soloviev flew to the Mir five times. The record of continuous stay not only on the Mir, but also in general in space (437 days) belongs to the doctor Valery Polyakov. Among the women, the American biochemist Shannon Lucid (188 days) was the longest in orbit. 28 long-term expeditions worked on the station. 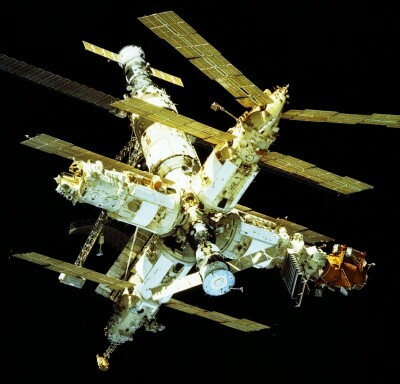 31 Soyuz spacecrafts and 64 cargo ships docked to the Mir station. American shuttles docked to the station nine times. The exploitation of the Mir cost, according to Russian media, about $ 200 million a year. In January 2001, the Russian government decided to flood the station, which was done on March 23 at 08:59:24 Moscow time in a deserted area of the Pacific Ocean near the Fiji Islands. The mass of the station at that time was 130 tons, but only about 12 tons of debris reached the water. Everything else burned in the atmosphere. 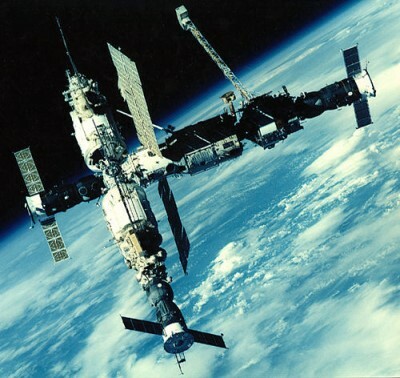 In the period from 10.09.1989 to 08.28.1999, almost 10 years, the Mir station was continuously inhabited. 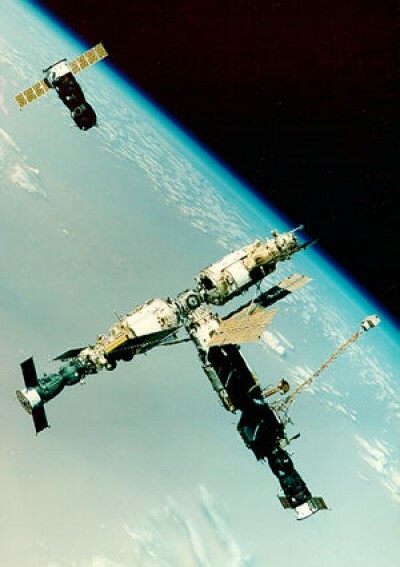 During its existence from February 20, 1986 before descending from orbit on March 23, 2001, the station made an 86.331 revolution around the Earth. Chronology of manned flights to Mir and the crews of Mir station. Soyuz ТМ-3: Alexander Viktorenko, Alexander Alexandrov, Muhammed Faris. Soyuz ТМ-4: Vladimir Titov, Musa Manarov, Anatoly Levchenko. Vladimir Lyakhov, Valery Polyakov, Abdul Mohmand. Alexander Volkov, Sergey Krikalev, Jean-Loup Chretien. Viktor Afanasyev, Musa Manarov (2nd Flight to the Mir), Toyohiro Akiyama. Alexander Volkov (2nd Flight to the Mir), Toktar Aubakirov, Franz Viehboeck. Anatoly Solovyev (3rd Flight to the Mir), Sergey Avdeyev, Michel Tognini. Alexander Serebrov (2nd Flight to the Mir), Vasily Tsibliyev, Jean-Pierre Haignere. Alexander Viktorenko (4th Flight to the Mir), Elena Kondakova, Ulf Merbold. James Wetherbee, Eileen Collins, Michael Foale, Janice Voss, Bernard Harris, Vladimir Titov. Vladimir Dezhurov, Gennady Strekalov (2nd Flight to the Mir), Norman Thagard. Robert Gibson, Charles Precourt, Ellen Baker, Bonnie Dunbar, Gregory Harbaugh, Anatoly Solovyev (4th Flight to the Mir), Nikolay Budarin. Yuri Gidzenko, Sergey Avdeyev (2nd Flight to the Mir), Thomas Reiter. Kenneth Cameron, James Halsell, Jerry Ross, William McArthur, Chris Hadfield. Kevin Chilton, Richard Searfoss, Shannon Lucid, Linda Godwin, Michael Clifford, Ronald Sega. Valery Korzun, Alexander Kaleri (2nd Flight to the Mir), Claudie Andre-Deshay. William Readdy, Terrence Wilcutt, Thomas Akers, John Blaha, Jerome Apt, Carl Walz. Vasily Tsibliyev (2nd Flight to the Mir), Alexander Lazutkin, Reinhold Ewald. Charles Precourt (2nd Flight to the Mir), Eileen Collins, Michael Foale, Carlos Noriega, Edward Lu, Jean-Francois Clervoy, Elena Kondakova. Anatoly Solovyev (5th Flight to the Mir), Pavel Vinogradov. James Wetherbee, Michael Bloomfield, Vladimir Titov, Scott Parazynski, Jean-Loup Chretien, Wendy Lawrence, David Wolf. Talgat Musabayev (2nd Flight to the Mir), Nikolay Budarin (2nd Flight to the Mir), Leopold Eyharts. Charles Precourt (3rd Flight to the Mir), Dominic Gorie, Wendy Lawrence (2nd Flight to the Mir), Franklin Chang-Diaz, Janet Kavandi, Valery Ryumin. Gennady Padalka, Sergey Avdeyev (3rd Flight to the Mir), Yuri Baturin. 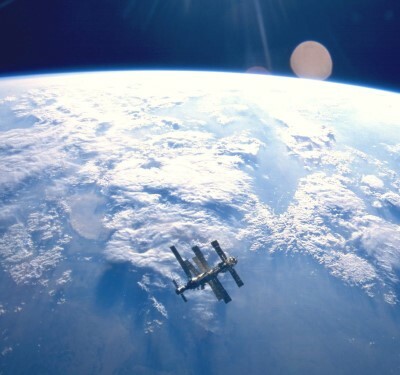 Mir station is visible from the shuttle Discovery. Russian cosmonaut visible in the window Valery Polyakov. 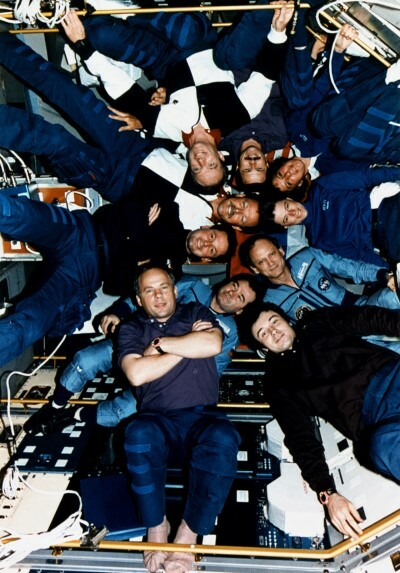 Cosmonauts and astronauts on the Mir station. Juny 1995. Space shuttle Atlantis docked at Mir station. Juny 1995. 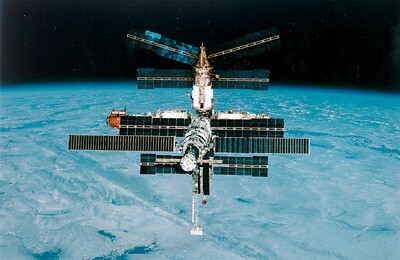 View of the Mir station from the shuttle Atlantis. November 1995.